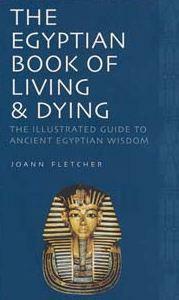 Egyptian Book of the Dead or The Egyptian Book of Living & Dying was initially published in modern times in the aftermath of Napoleon’s expeditions to Egypt. First, the Egyptian Book of the Dead was considered to be the ‘Bible‘ of ancient Egypt and was therefore treated with great respect and consideration. The Book of the Dead (often presented with the subtitle ‘The Papyrus of Ani’ or ‘The Book of Coming [or Going] Forth By Day’) was intended to assist the deceased in the afterlife and comprised a collection of hymns, spells and instructions to allow the deceased to pass through obstacles in the afterlife. In this sense, the work has similarities with ‘The Tibetan Book of Living and Dying’ and the Mesoamerican Popol Vuh. The Egyptian Book of the Dead was considered to be the ‘Bible’ of the ancient Egypt and was therefore treated with great respect and consideration. Use of psalms and sacred oils. I am Deaf. I look book of spell from Egypt. please anyone with the knowledge of 6 n 7 book of moses and even how to write the seal please Email me on djfransky61@gmail.com.